SAN JOSE, CA—June 21, 2011—OCZ Technology Group, Inc. (Nasdaq:OCZ), a leading provider of high-performance solid-state drives (SSDs) for computing devices and systems, today launched the Deneva 2 SSD line for enterprise clients. Taking full advantage of the cutting-edge SATA 6Gb/s interface, Deneva 2 SSDs are designed for a wide range of enterprise applications including servers, cloud computing, and data centers. The Deneva 2 series delivers maximum performance while meeting the stringent reliability, security, performance and economical needs of enterprise storage environments. "Data centers are one application where the speed benefits of a fast SSD visibly fall straight to a company's bottom line," said SSD analyst Jim Handy of Objective Analysis. "This has driven the enterprise to be the fastest-growing market for SSDs - Objective Analysis forecasts for enterprise SSD unit shipments to grow at an average annual rate of 83 percent, nearly doubling every year." As the demand for increased storage efficiency, maximized data throughput, and a smaller operating footprint broadens across various industries, more and more companies are turning to the benefits of SSDs to significantly optimize their storage infrastructures. With these requirements in mind, OCZ has been a pioneer in the design and development of SSDs for the enterprise environment, pushing the envelope to develop solutions that combine industry-leading performance with a robust feature-set. Deneva 2, the company’s latest offering, features several enterprise-critical options not available in OCZ's consumer product lines, including power loss data protection, best-in-class endurance (e.g., minimal write amplification, intelligent block management and wear-leveling), and advanced encryption and ECC. Based on SandForce® SF-2000 SSD processors, the Deneva 2 series delivers up to 80,000 4KB random write IOPS and 550MB/s of potential bandwidth. Along with world-renowned performance, Deneva 2 SSDs are specifically designed to deliver superior reliability and are manufactured with the latest flash components specific to the customer’s needs. In addition, the series includes enterprise-grade multi-level cell (eMLC) NAND flash technology, which offers improved endurance for write-intensive applications. Deneva 2 SSDs can also be customized, come in a wide variety of interface options including PCIe, and are available in 2.5, 3.5, and 1.8 inch form factors for use in very high density computing environments, including blade servers. 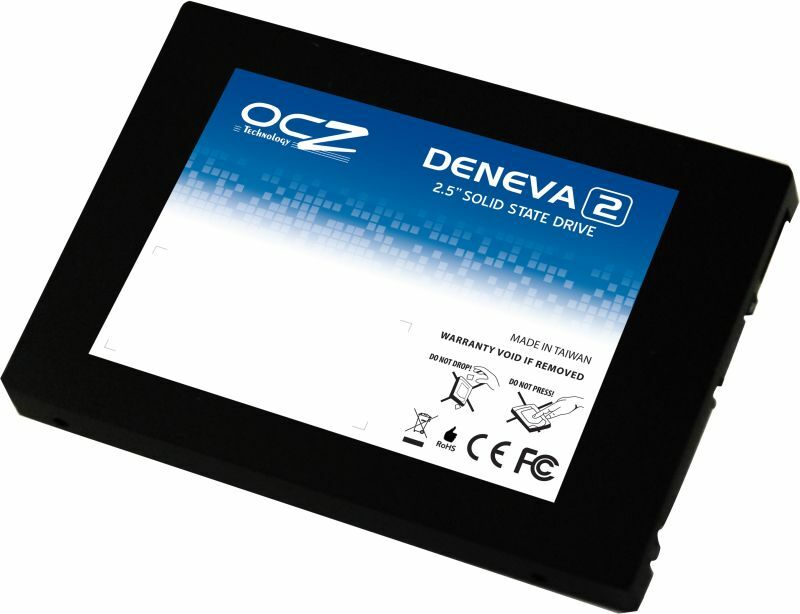 OCZ Deneva 2 solutions overcome the performance, durability, and maintenance obstacles inherent to mechanical HDD storage. OCZ's ability to provide a tailored solution ensures ultimate compatibility, reliability, and cost-savings, resulting in products that are optimized to specifically address the unique needs of enterprise clients. Visit http://www.ocztechnology.com/products/solid_state_drives for more information.